Premier Boxing Champions (also known as PBC) is a television series created by Haymon Sports in 2015, designed to showcase the sport of boxing. 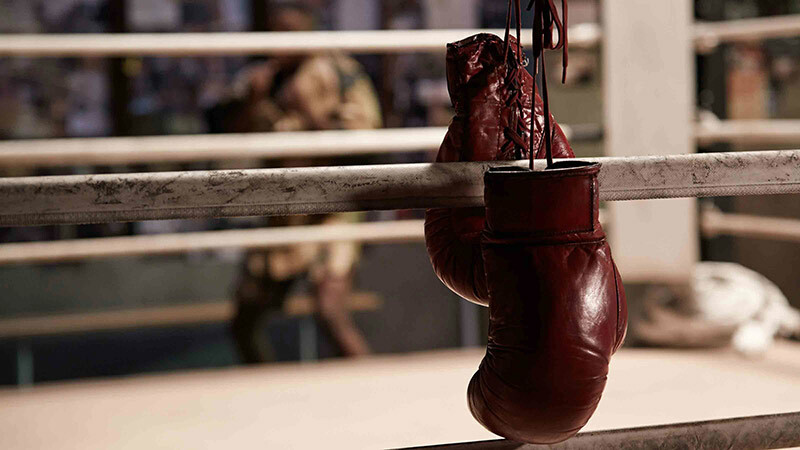 Broadcast on the top sports networks in the United States of America, including NBC, ESPN, CBS and Fox, it features regular bouts between today’s best and brightest boxing stars. As you would expect with a media company PBC creates a lot of assets themselves, images in particular. Even though they had been going less than a year they had over 20,000 images; fighter portraits, weigh-ins, media conferences and of course photography of the actual fights. When we first spoke to PBC all their images were distributed in multiple folders in many different locations, making it incredibly difficult to search and find a particular image or collection of images. The workflow around these images involves a number of different parties. Photos are created by their in-house photographers or freelancers, then given to the marketing team to store, then they distribute the images to the media as required. So it’s quite a complex process involving a number of different people. Throw in their difficulties in locating images and you can understand why PBC needed a digital asset management system quick! With Asset Bank, it's possible to set up different permissions per user group. So with PBC, they can give just freelancers and photographers the permission to upload images. The media can’t upload assets but have permission to download images, as do their in-house photographers but freelancers must request approval before downloading. Admins, the core marketing team, have complete freedom as you would expect. The really interesting thing about PBC’s DAM is that its use is very event led. For every fight the admins will create a new folder, to which photos are added from press conference, weigh-in and fight, and then it's very easy for all the different groups to know where to upload and download images. 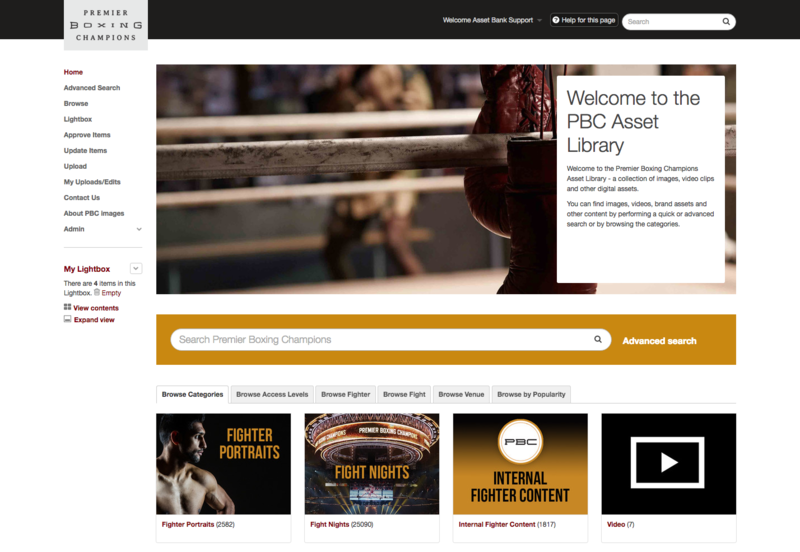 A lightbox for each fight is created; a PBC admin user selects the best images from each event to make available for media use, and ensures each shared asset has the appropriate caption, data, fighter details and attribution (photo credit). To make life easier for web editors and social media managers, PBC offer download presets for large detailed images, thumbnails, Facebook, Twitter, Pinterest and Instagram. We have also made a number of configurations to make it easy for people to find the image they need. Keywords lists aren’t for everyone but they work well in this instance. PBC have created them for fighters, fights and venues. "Asset Bank allows us to search our archive and access content which was previously inaccessible in multiple folders in many places, ensuring that we get the maximum benefit from our photographic archive. It also allows us to share assets with the media and other selected third parties, so they can 'self-serve'. The flexibility of the interface is very impressive, allowing customising and branding of the system. In addition, the customer service is stand-out, with questions and support tickets answered very quickly and expertly."